In 2016/17 and 2018/19 we completed an upgrade to Tauranga City Council’s Oropi Road and Joyce Road water treatment plants. New stainless steel piping was installed to replace the ageing ABS plastic pipework. Approximately 200 metres of stainless steel piping was installed in each plant while the plants remained operational. Our site team worked closely with Council staff to ensure minimal disruption to water supply and completed the projects on time and within budget. Our Projects, Stainless Steel and Quality Assurance teams worked closely together to ensure the success of this project. Page Macrae Engineering was contracted by the Thames/Coromandel District Council to build and commission three new water treatment plants for Pauanui, Whitianga and Whangamata. The projects included stainless steel piping and mechanical equipment installation at the three sites over a two year period. As all three plants were identical in design, this allowed us to complete the project ahead of the contract deadline. Our Projects, Stainless Steel and Quality Assurance departments worked closely together to ensure the success of this project. 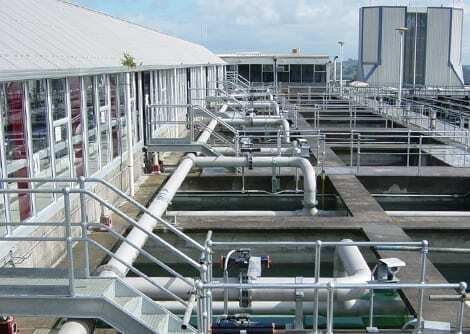 Page Macrae Engineering was appointed head contractor by Downer Engineering for the upgrade to the Ardmore Water Treatment Plant near Papakura, Auckland. The project included fabrication and install of stainless steel piping and mechanical equipment for the plant. Pipework for the project was fabricated at our Mount Maunganui Stainless Steel workshop before being transported to site for installation. The project was completed in 15 months. Our Projects and Stainless Steel teams collaborated on this project.